SELLER OFFERING $500 AGENT BONUS FOR ACCEPTABLE OFFER RECEIVED IN MAY!!! They say dynamite comes in small packages so get ready for this home to blow you away! If you are looking for a large lot, but not the high maintenance of large square footage then this is a prized gem. This hidden treasure comes with almost everything new and without the hassle of an HOA or CDD. 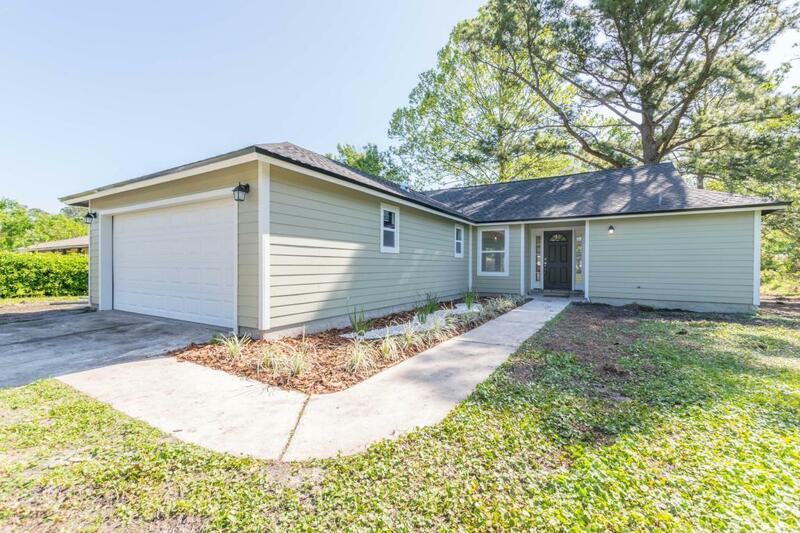 Split floorplan home features new roof, siding, windows, HVAC, water heater, water filtration system, flooring, cabinets, solid surface countertops in kitchen and bathrooms, stainless steel appliances, French doors, plumbing fixtures, light fixtures and deck. OVERsized backyard allows for quiet evening cook-outs while the kids play freely in the privacy of the fenced in yard. Home comes with transferable termite bond.